If you stopped by last week, you caught a glimpse of my latest project. Sometimes simple is perfect. 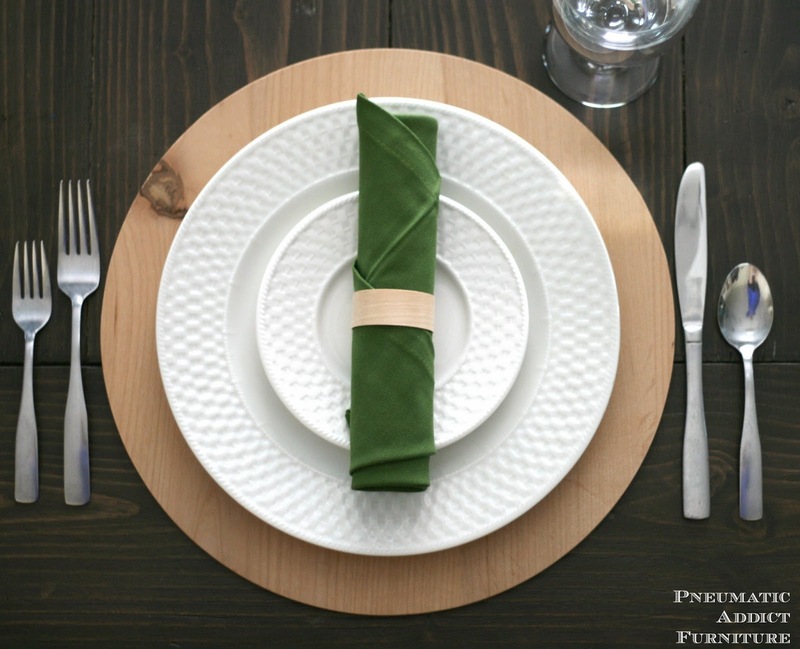 Although not my most complex project, I am SO happy with the way these DIY wood plate chargers turned out. 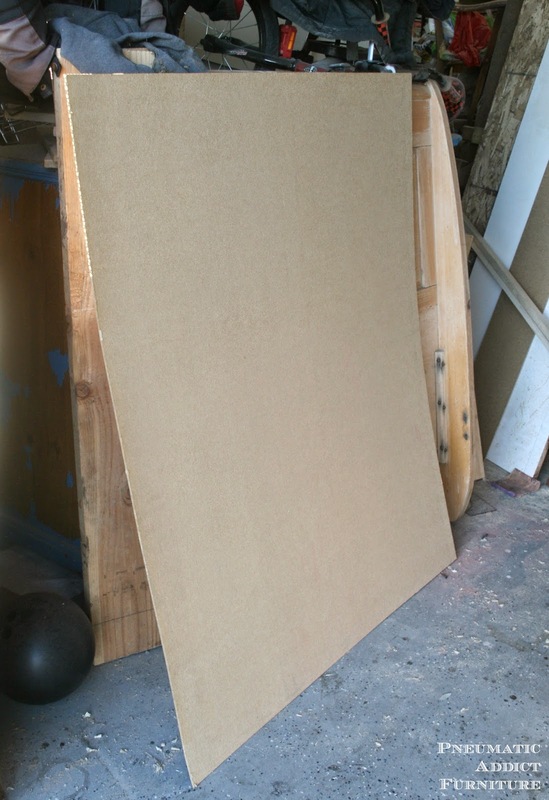 I started with a small, leftover sheet of plywood (This photo is actually of hardboard. You'll see why below). 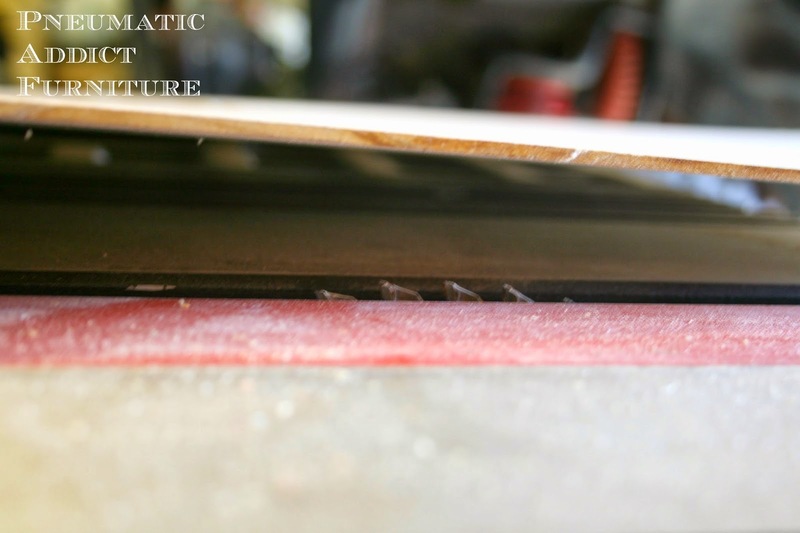 I cut the sheet down into 6 manageable pieces, then I cut them into 13", perfect circles on my table saw, just like I did in this tutorial. I filled the center hole with wood filler. Once dry, I sanded the filler smooth, as well as giving the edges a light sand to remove burrs. That's it. 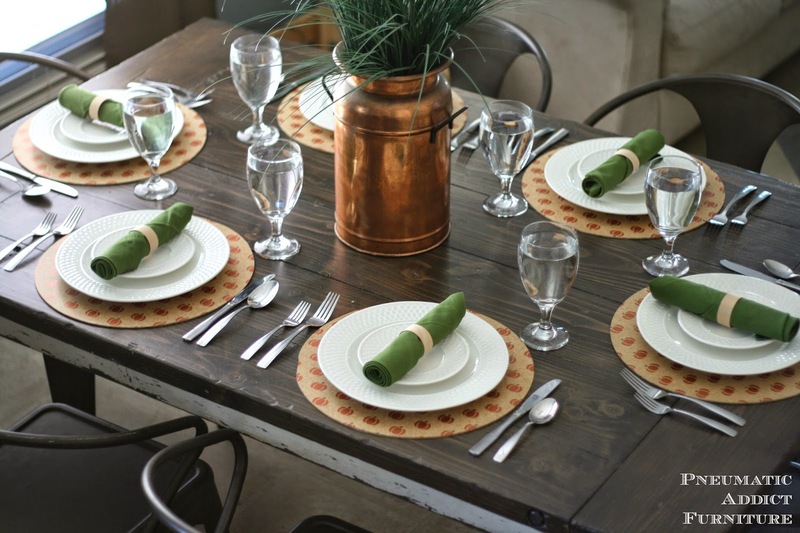 Time to set the table. 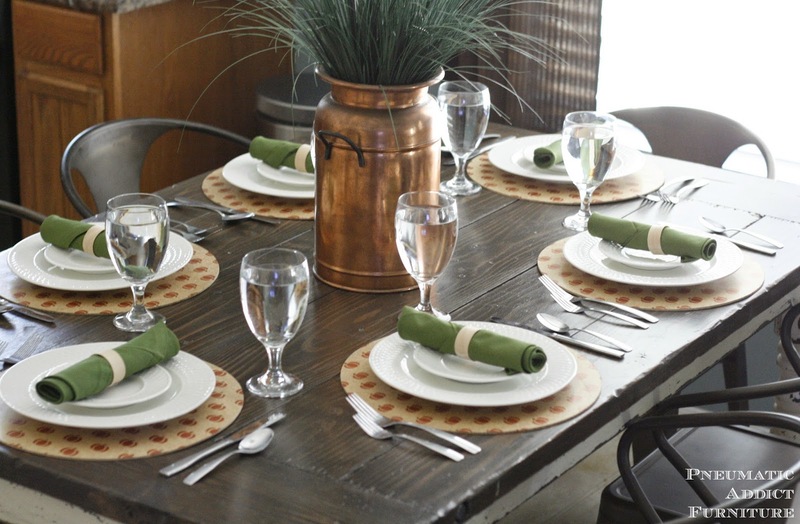 I'm digging the modern look of bare wood right now, but you could stain them if you'd like. 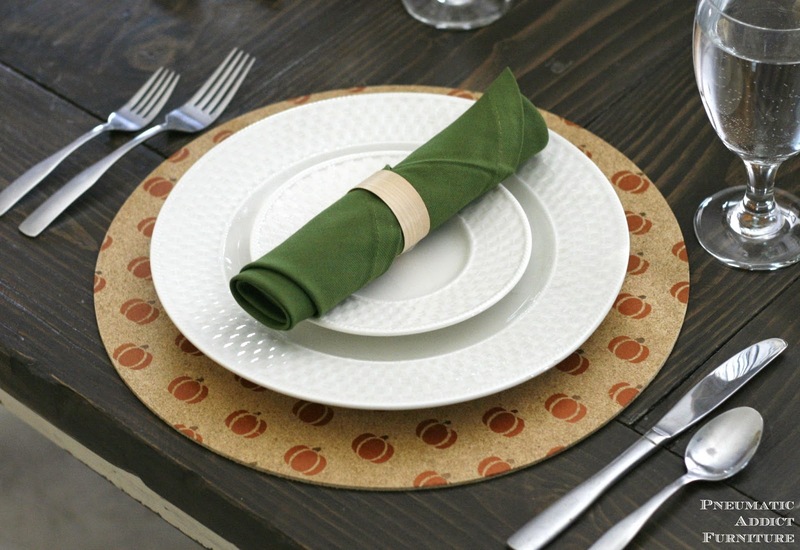 In the spirit of Thanksgiving, I decided to make a different set with a little more pizzazz. I cut 6 more chargers from a thin piece of hardboard (like the kind that covers the back of a dresser). The chargers as basically a blank canvas. You are only limited to your imagination. 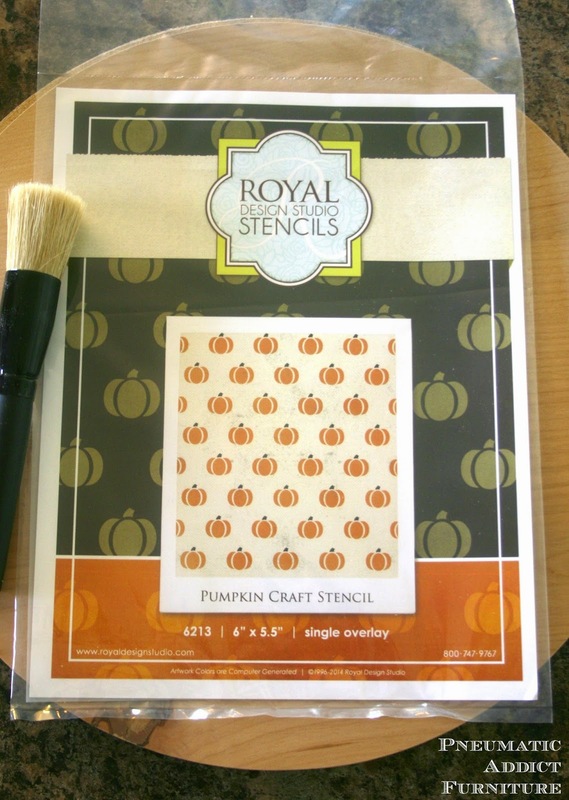 I've been wanting to brush up on my stencil skills, so I ordered this Pumpkin Craft Stencil from Royal Design Studio. I used a metallic copper craft paint for the pumpkins, cause I'm trendy like that. And for the stems, I used a tiny bit of dark bronze craft paint on the end of a Q-tip. Just a little touch of fall. 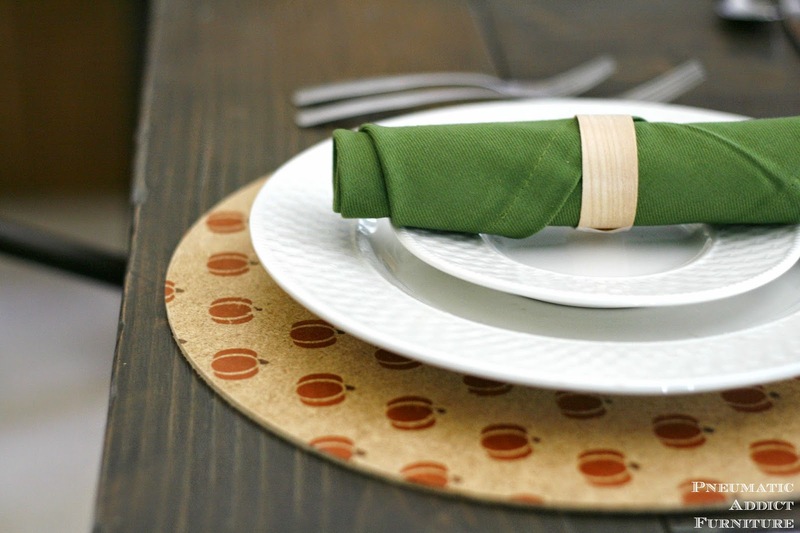 Those wood napkin rings were SO easy to make. They honestly took me 5 minutes to make. You can see how in this tutorial. This is about as crafty as I get people. I can tear it up in the garage, but hand me glitter and I freak. 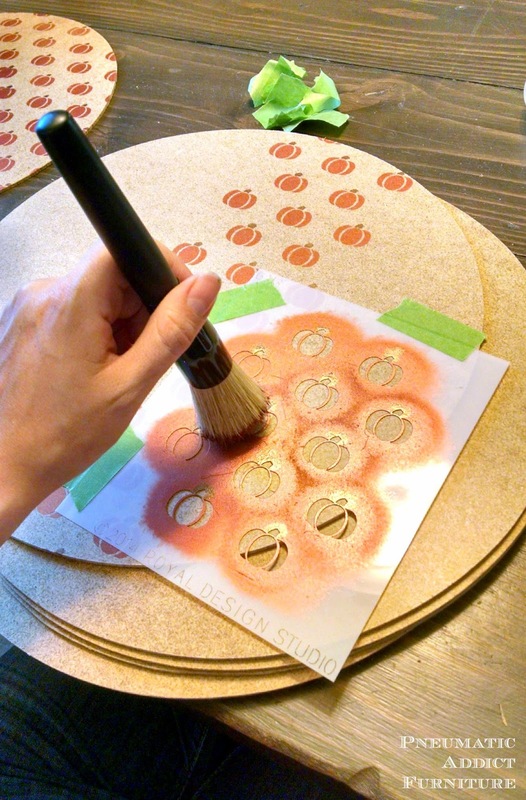 I'm telling you, these chargers were super simple to make and stencil. What do you think? Thanksgiving is just around the corner. 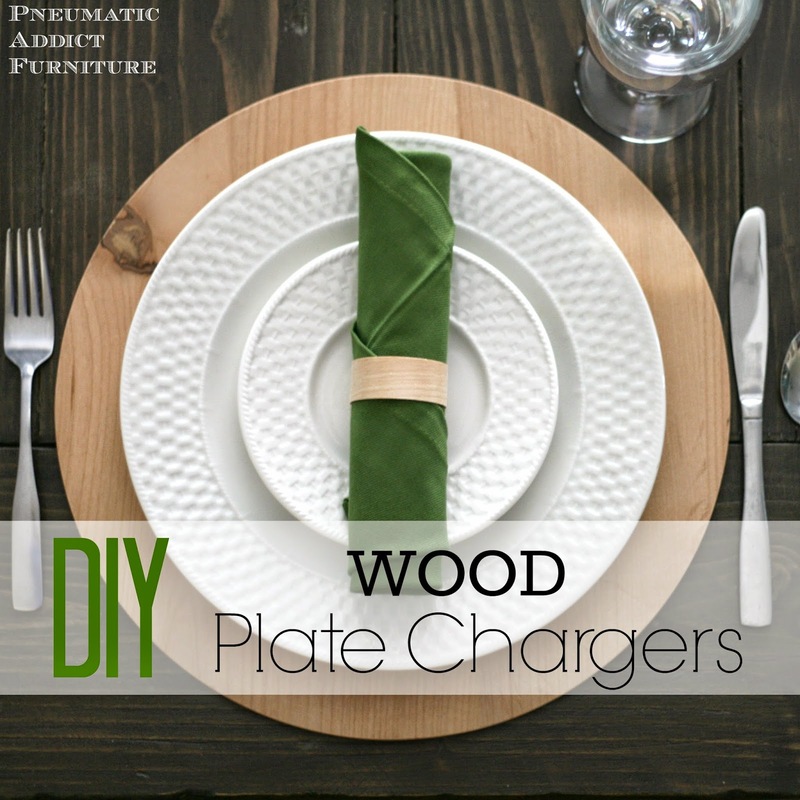 Are you going to have a set of DIY wood plate chargers at your table? I may or may not be recycling mine for Christmas too. *The post contains sponsored content. I was compensated with product from Royal Design Studio. I only endorse companies and products I actually use and personally recommend. My opinions are entirely my own. 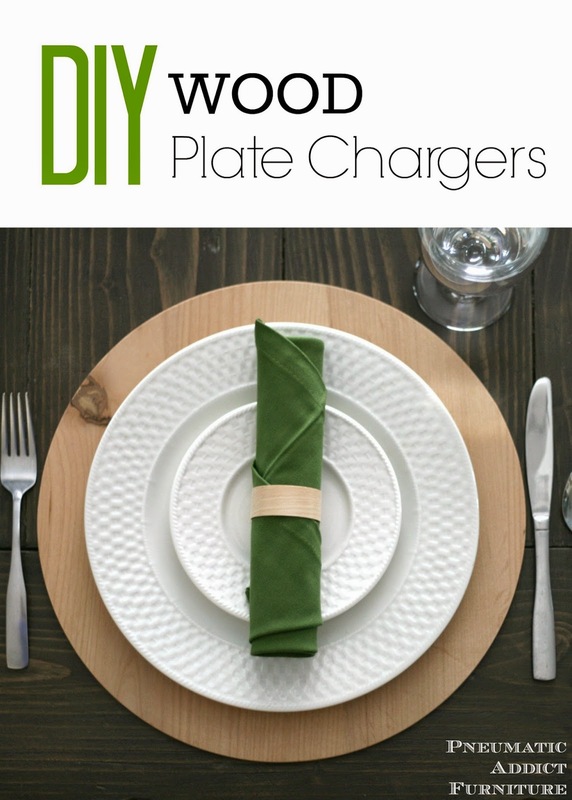 Love these plate chargers! Super cute! Thanks for sharing with us at Your Designs This Time!